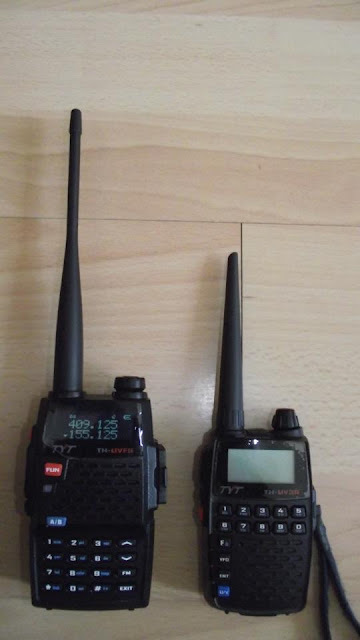 On 5 May, Kight Radio says the TH-UVF9 will be available soon. This was the first time I've run across anything about this radio. On 21 May, Kight Radio is testing the TH-UVF9. On 24 May, Kight Radio has the TH-UVF9 for sale as does the 409Shop. On 31 May, 409Shop does their usual unboxing video. 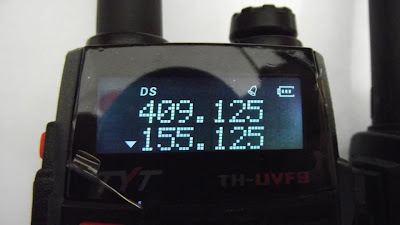 On 31 May, Nate comments that Radio-Mart lists the TH-UVF9 as a tri-band radio. The link from Radio-Mart to a brochure shows the radio as a dual band. (I had not posted about this earlier as I could not find the time to review all my notes and surf to the end of the TYT internet to reconcile all this information.) Radio-Mart says they have 494 of the tri-banders available for $111 USD for pre-order and that delivery will be in three weeks. (Three weeks from when?) There is also a note that "the display is LCD and not dot matrix." On 3 June, Kight radio says the TH-UVF9 is almost ready - just a minor problem with the channel/frequency display. On 6 June, TYT has the TH-UVF9 listed as a dual band radio on their web page. Today, I've e-mail both Radio-Mart and TYT to see if they can clarify the situation on the tri-band version. While we wait, Nate has some other cool finds. Here are some pictures from a Hungarian Facebook page along with a couple of videos. Thanks to again Nate, Steve, and others for links/info along the way.